Disaster recovery (DR) strategies are continuing to evolve to become an even greater focus on the modern enterprise. Just like insurance, no one wants to plan for the worst, but the impact of not having it could be a catastrophe- disaster recovery is the same. Upcoming changes expected from the European Union's General Data Protection Regulation (GDPR) are also keeping DR top of mind. Changes to GDPR will mandate how businesses search and retrieve information from online data repositories. In addition to these new rules, standards for DR – including Recovery Time Objectives (RTOs) and Recovery Point Objectives (RPOs) – continue to rise. Increase expectations mean companies are looking for new business continuity models that can keep pace. In this environment, new disaster recovery technologies and models are reshaping how businesses plan for and execute disaster recovery plans. For instance, virtualization technology now makes it possible for an entire server's operating system, applications, and data to be wrapped into a single virtual server. This virtual server can then be replicated and stored offsite at a remote data center and spun back up if needed in a matter of minutes. Let's take a closer look at how emerging disaster recovery models are making IT systems and businesses much more resilient. Cloud-based disaster recovery and Disaster recovery-as-a-service (DRaaS) - New cloud-based and as-a-service DR options available today are gaining significant traction among businesses and making it possible for organizations of all sizes to protect data and applications. In fact, Gartner predicts that by 2018, the number of organizations using cloud-based disaster recovery or the Disaster Recovery as a Service (DRaaS) model will exceed the number of organizations using traditional recovery services. (Source: Gartner). DRaaS is an approach that leverages cloud storage and backup services to ensure business continuity. Contrary to conventional DR plans that involve having off-site, redundant backup servers across the country for geographical diversity, cloud-based DR services cost much less and can provide instant recovery on demand. Cloud-based DR includes the ability to protect production applications both to the cloud and in the cloud. DR for multi-cloud environments - Today's it's common for organizations to leverage cloud services from several providers? Amazon, Google, Microsoft? as well as to have several backup products from the same provider and well as legacy applications. In these complex multi-cloud environments, in the past companies struggled to keep up with proprietary backup formats, as well as manual workload backup operations. Luckily, new disaster recovery and business continuity solutions are now available for multi-cloud deployments, including private, hybrid and public clouds environments. Many of these cloud-native solutions also offer embedded intelligent monitoring for applications and infrastructure so they can detect risks to data availability and perform automatic recovery of applications when needed. These solutions deliver high availability and disaster recovery of critical business services, including individual databases and legacy applications, across physical and virtual environments. Data replication technology advances too - Part of the driving force behind advancements to cloud-based DR is virtualization and the significant efficiency gains made possible new data replication technology. New replication technologies supporting DR solutions include asynchronous replication, CDP, and snapshot, for example. Asynchronous replication is used for DR solutions because it writes data to the primary storage array first and then, depending on the implementation approach, commits data to be replicated to memory, generally a separate remote storage device. CDP technology or Continuous data protection provides real-time backup capabilities. This means that every single change made to computer data is by automatically backed up. The technology captures every version of the data that the user saves, making it possible for a higher level of data protection. Snapshot technology is meant to supplement backups by providing a point-in-time copy of data. These sophisticated replication technologies make it possible for organizations to implement effective, multi-layered disaster recovery solutions for complete data protection. Whether it's a coordinated ransomware attack or a natural disaster, today's modern digital enterprise and the IT systems that support them, are under continuous threat. 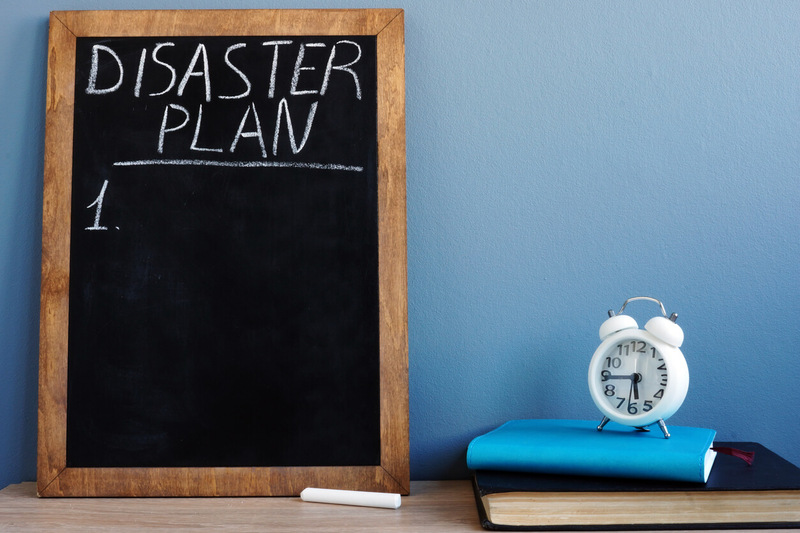 Minimizing the negative impacts of an unexpected event is all about having a robust disaster recovery framework in place. For those organizations that don't know where to start, it's a good idea to gauge potential risks, set goals upfront and determine how recovery time objectives match up to DR platforms and new capabilities.